This Christmas, give the great gift of prayer with a Holy Family Entrustment Book from the Missionaries of the Sacred Heart. Every year, we see piles of presents stack up under Christmas trees in homes across the country – and all too often, well-meant gifts are put aside and forgotten about in the excitement of the festive season, and are left to gather dust in the back of a cupboard or under a bed. This year, why not give a gift that will last long after the crackers have been pulled and the decorations boxed away for another year? The Holy Family Entrustment Book is a wonderful way to remind loved ones they’re in your thoughts at Christmas, and throughout the year. 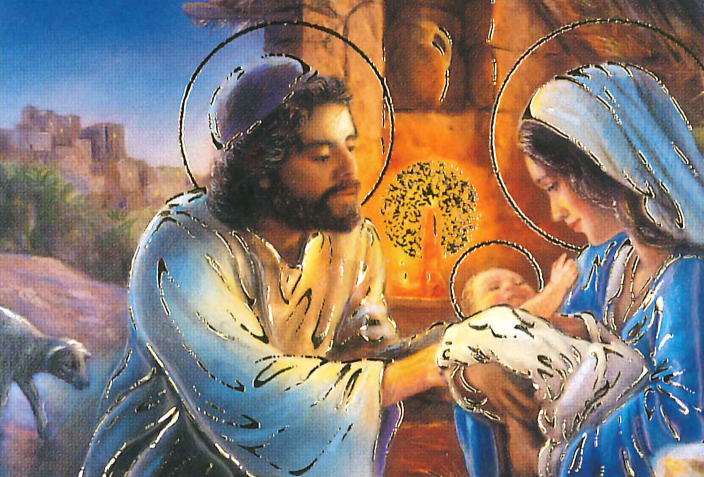 What is the Holy Family Entrustment Book? The Holy Family Entrustment Book is a one-year enrolment in the Masses and prayers of the Missionaries of the Sacred Heart. The personalised prayer certificate is presented in a beautiful hand-crafted card with 3D embellishment. The specially designed eight-page card is filled with thoughtful prayers and reflections, and there is additional space for a personal message in each card. What does a one-year enrolment involve? Those enrolled in the Holy Family Entrustment Book are remembered in the Masses and prayers of our MSC priests for one year. This makes the Holy Family Entrustment a lovely and lasting gift to mark the festive season. Can I enrol a friend or loved one in the Holy Family Entrustment Book for any occasion? Enrolments in the Holy Family Entrustment Book are made for a variety of occasions, from remembrance of a loss to the celebration of a special life event. Where can I get a Holy Family Entrustment Book? Visit our Cards & Gifts section to order a personalised Holy Family Entrustment Book online. You can have your order delivered to your door, or we can send it directly to the person being enrolled. If you have any further questions, please feel free to get in touch with us by email at info@mscmissions.ie, or by phone on +353 (0) 21 454 5704. This year, the feast of the Holy Family takes place on Sunday, December 30th. At this special time of year, we come to the Holy Family with our prayers and intentions, our hopes for the year ahead, and our gratitude for the blessings of the year gone by. Our Holy Family Entrustment Book is the perfect gift to share Christmas tidings and New Year wishes with those you hold dear. Prayer is one of the greatest gifts we can give to those we love. or the Our Lady of the Sacred Heart Blue Book.